The revelry of the Sinulog Festival still throbs in our head as my friends and I board a pump boat in Palompon, a laid-back mangrove-fringed town, an hour’s drive northwest of Ormoc City. A rowdy weekend of partying has taken a toll on us, and we badly need a beach getaway — a healthy dose of “Vitamin Sea” so to speak — to recuperate from festival fever. The weather was inviting: the late morning sun beamed, accompanied by the salty breeze, lighting up the sea before us in therapeutic shades of blue. Our destination: Kalanggaman Island. Accompanied by fellow travel junkies Gay, RJ and Marky, I set out for a sliver of sand and palm trees that’s an hour’s boat ride from town. The sounds of a premature summer serenades us as our boat departs the mainland: the heavy chugging of the engine; the tarpaulin roof flapping in the wind overhead; and bamboo outriggers sloshing over the Visayan Sea, occasionally splashing saltwater on our faces but failing to wash away our grins of excitement. The islet’s pristine sandbars gives it a bird-like shape, hence its name. Everybody loves to pose on the lifeguard chair. Its the perfect harmony of sea, sand and sun! Ahead of us, the hazy strip of coconut trees on the horizon slowly widens as we draw closer, its blinding white beach stretching out easterly into a tail of sand. These shifting sandbars give Kalanggaman an avian shape, hence its name drawn from langgam, the Cebuano word for “bird”. As our vessel finally approaches, gliding over glassy waters, and we moor alongside the immaculate coast, it’s clear why this tropical gem has lured visitors far and wide. With minimal built-up structures and no permanent inhabitants, Kalanggaman preserves its harmonious orchestration of sea, sand and sky — easily a standout among the 7,600 islands that make up the Philippine archipelago. Spend the night on the island to witness the sunset. Experience the tranquility of the island on an overnight camping trip. We brought roasted chicken and pusô (hanging rice) from Palompon market. The island began getting significant attention when a German luxury cruise liner first visited its shores in 2013, before Typhoon Haiyan ravaged across central Philippines. Kalanggaman, however, quickly recovered from the catastrophe and has become a major tourist drawcard (and a regular stop for cruise ships) in Eastern Visayas. “Since then, visitors have doubled every year, reaching nearly 100,000 tourists in 2016,” reveals municipal tourism officer Cleofe Rivera. The local government, however, ensures that the sudden popularity doesn’t spoil the island by controlling the number of visitors, enforcing waste management, curbing development and stationing tourist police. “We want to sustain healthy movement, healthy surroundings and a healthy atmosphere on the island,” she says. Covering a land area of only seven hectares, Kalanggaman is technically an islet, a delicate parcel of land that can be circled on foot at a leisurely pace in less than an hour. “What I love about the island is its size,” says jet-setting travel blogger Gay Mitra-Emami of www.pinaytraveljunkie.com, “it’s big enough to hold a number of groups without it being too crowded. And that despite its popularity, it remains largely undeveloped.” After feasting on roasted chicken with the Visayan staple of pusô or “hanging rice” at our campsite, we take a stroll down the sandbar then along the rocky northern shore, where there was no one else but us and a pair of fishermen hauling in net bags of prickly suwake, a variety of edible sea urchin. This rugged isolation was just what the doctor prescribed. A fisherman and his wife are collecting sea urchins. Suwake are an edible variety of sea urchin, eaten by coastal communities throughout the Visayas. As the day draws to a close, the tranquility of the island becomes more pronounced. By the late afternoon, daytrippers start packing up and departing for the mainland, leaving the islet to overnight campers who pitch their tents in the coconut grove. The deserted sandbar becomes the ideal vantage point to watch the sky smolder and explode at sunset, taken over by countless pinpricks of starlight in an ocean of darkness above us. As we lay down on the cool and supple sand late in the evening, we could clearly make out the constellation of Orion, rising over the mountains of Leyte — the hunter raising his bow and arrow, occasionally sending shooting stars across the night sky in a blink of an eye. Spending the night on the islet rewards you with gorgeous sunsets and sunrises. Camping under an ocean of stars! Waking up early to catch the sunrise at the sandbar. Long before the island become the newest tourism darling, it was dive centers from Malapascua Island, a well-established diving destination in northern Cebu, who pioneered day trips to Kalanggaman in the 1990s. Apparently, the island’s natural beauty extends far beneath the lapping waves. Early the next day, I meet Palompon-based dive master Eduardo Quiamco, who has been guiding scuba divers on the island for the past 12 years. As my friends enjoy their morning swim, I quickly suit up and hop on his small bangka (outrigger boat), eager to see what lies beneath offshore. The boat rounds the sandbar, taking us 200 meters off the northern coast where the turquoise shallows abruptly turns into the vast azure of open sea. Back-rolling onto the calm, gin-clear water, we descend onto an impressive cliff that begins at 12 meters and disappears into abysmal depths far below. Decorated in tubular sponges and soft coral, the wall harbors a delightful menagerie of shy pufferfish, technicolor sea slugs and sinister scorpionfish. Eduardo enthusiastically points out a juvenile green sea turtle surfacing for a breath of air, casting a silhouette overhead against the sunlight, before gliding down next to us for a quick inspection. And just when I thought we’ve witnessed the dive’s highlight, a massive school of trevally emerges for a final encore, an iridescent apparition that induces a stupor of admiration as we ascend over the threshold and back onto the shallow reef. While Kalanggaman may have cured our weekend hangover, the depths of its beauty can be intoxicating in its own right. Palompon is the jumping off point to Kalanggaman Islet. Palompon is an hour by van, bus or jeepney from Ormoc City, which is linked by a three-hour bus or van ride to Tacloban City, or a three-hour fastcraft ride to Cebu City on Weesam Express (starts at PHP 550), SuperCat (starts at PHP 750) and OceanJet (starts at PHP 1,000). One may take a six-hour direct ferry to Palompon from Cebu City on Medallion Transport (starts at PHP 350, daily) and Cokaliong Shipping (thrice weekly, starts at PHP 395). Alternatively, one can take a three-hour direct Ceres bus (PHP 120) from Cebu North Bus Terminal in Mandaue City to Polambato Port, Bogo City, where Super Shuttle Roro ferry departs daily for Palompon at 12:00 noon, and makes the return trip every 7:30 AM. The ferry crossing takes three hours. Pump boats to Kalanggaman Island depart from the Tourism Building at PHP 3,000 for roundtrip transfers for up to 15 persons. Solo travelers and small groups may request to join another group in advance. For inquiries, contact Palompon Tourism at +63 53 5559731. One may also charter an outrigger motorboat to Kalanggaman through resorts or boatmen at Maya Port or Malapascua (the resort island off the northern tip of Cebu) ranging from PHP 2,500 to 6,000 for a return trip, depending on the size of the boat. Negotiate fairly but firmly. Travel time is two to three hours, depending on the boat size and sea conditions. Malapascua dive centers sometimes arrange boat dive trips to Kalanggaman. If you need to spend the night in Palompon, the best place to stay is the centrally located PACCI House Hotel (Tel. +63 9177410259 or +63 53 3382880) near the church and market. Room rates start at PHP 650. There are more hotel options in the cities. Find discounted rooms in Tacloban City or Ormoc City. 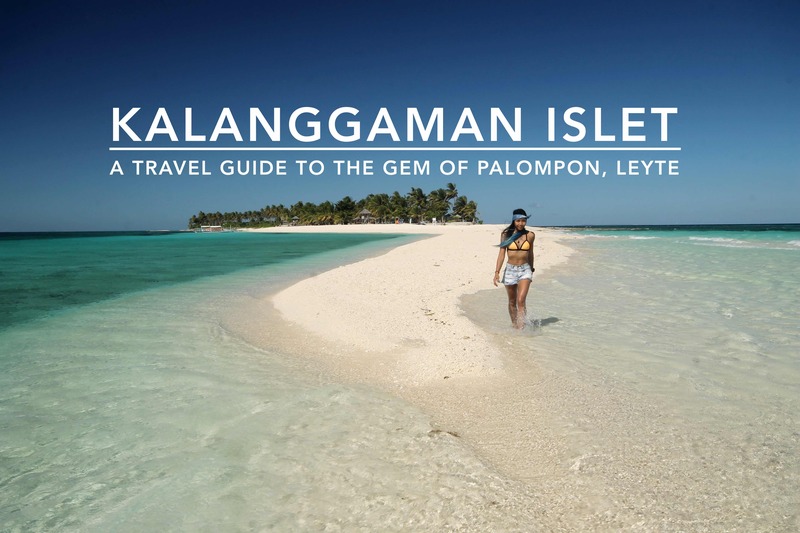 Entrance fees to the Kalanggaman Island are as follows: for day tours, PHP 150 for domestic tourists and PHP 500 for foreign tourists; and for overnight visits, PHP 225 for domestic and PHP 750 for foreign tourists. Discounts for students and senior citizens are offered. Tents may be rented from Hinablayan Outdoor at the Tourism Building, Tel. +63 99889994276. Bring your own blankets and sleeping bags. Bring enough food and water for your entire stay. The town has grocery stores and a public market for your provisions. Campfires are not allowed. Cook your food only at designated grilling stations. Avoid swimming along the sandbars due to dangerous riptides and undertows. Solar-powered lamps illuminate the island at night. Don’t forget to bring your own flashlights or emergency lights! Respect other campers and minimize noise, especially during sleeping hours. Segregate your waste and take them back to the mainland for disposal. Garbage bags are provided for each group before every departure to the island.